Each Snickers Sensation pop consists of 2 fluffy marshmallows on a stick, wrapped in a clear bag and tied with a gold bow. 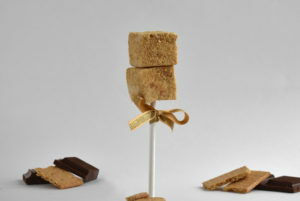 These rich caramel marshmallows are swirled with luxuriously soft caramel, crushed peanut bits and Belgian chocolate shavings. 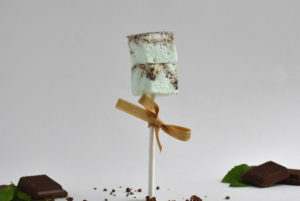 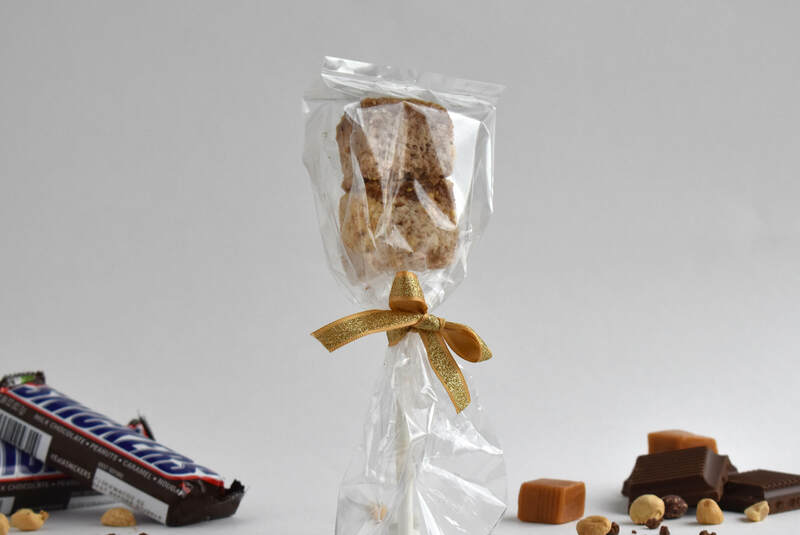 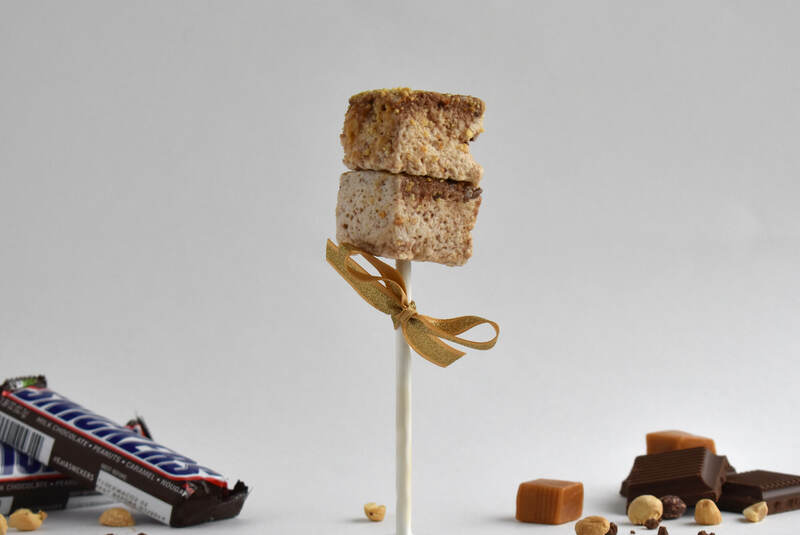 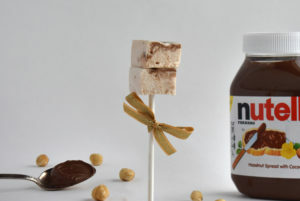 Our marshmallow pops are perfect additions to your dessert table at your next event or as party favors.